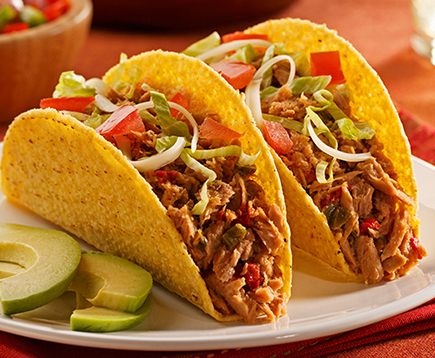 13 grams of protein and 70 calories per single-serve pouch provide a smart (and spicy!) 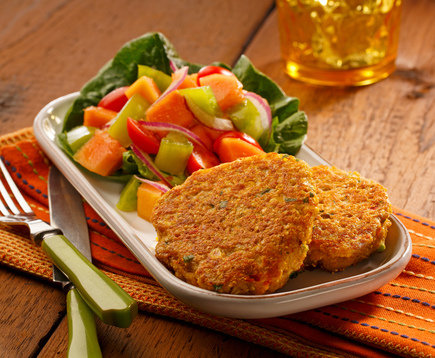 boost of protein to any salad, wrap, or right from the pouch. Packed in our no-drain, flavor fresh pouch, it’s easy to take anywhere and eat anytime. 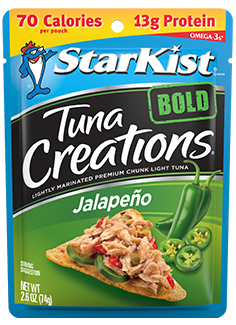 ++ StarKist Tuna Creations® BOLD Jalapeño contains 130 mg of EPA and DHA omega-3s per pouch combined.